I mentioned in yesterday’s post that we had just gotten back from vacation. It was wonderful. 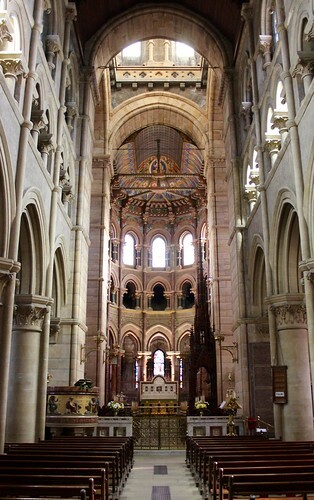 Bill and I have talked about going to Ireland for years, and we decided to do it. Life is short so let’s make some memories. We went for 9 days, traveling around the southern part of the country. We really could have used one more day to have made it absolutely perfect, but now we know better for planning future trips. 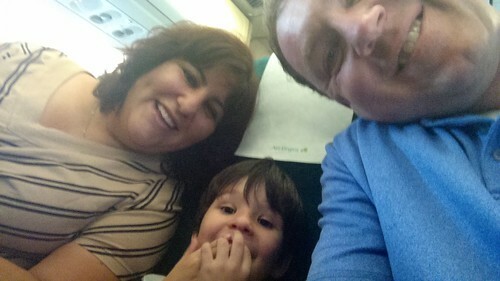 We flew into Dublin on Saturday and had a day and a half to explore the city. Saturday, we explored by foot and on Sunday we took one of the Hop On, Hop Off buses. We got a lot of information from the guides, and got to get off and explore for as long as we wanted. A new bus came by every ten minutes which made it very convenient. 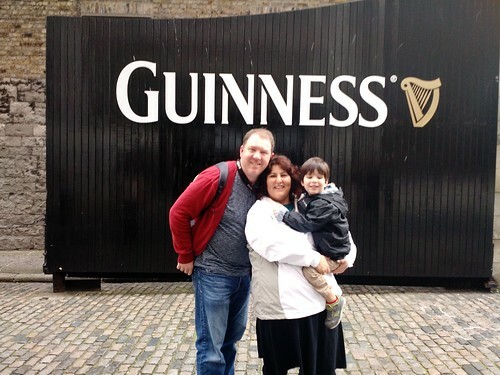 One of those stops was at the Guinness Storehouse, the high point of the day for Bill. Monday we picked up our car and started our drive to Killarney. It was our longest drive of the trip at 4.5 hours, but we stopped for lunch, stopped at Lough Gur, had a potty break so that meant we got to Kilkenny just in time for dinner. We stayed at a B&B about a kilometer from town and we were able to walk to dinner every night. I think you can enjoy your pint of Guinness (or cider, in my case) a bit more when you don’t have to worry about getting behind the wheel. Woodlawn House was our home base for three nights. 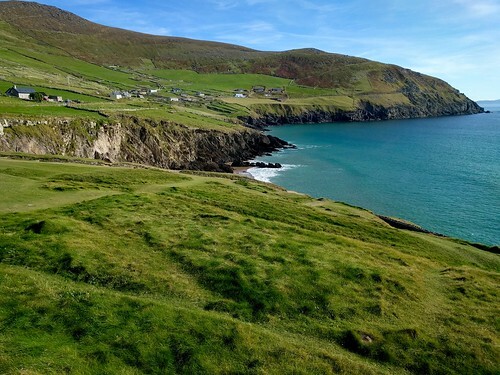 The next day we drove the Dingle Peninsula. It was a glorious sunny day and the scenery was spectacular. We were essentially cone from 9:30 to 5:30 and most of that time was spent in the car. 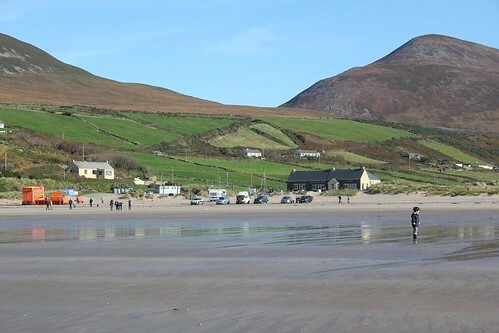 We stopped at Inch Beach and ran and played in the sand. Our next big stop was the town of Dingle. We walked through town, and then picked up some groceries at the supermarket and had a delightful picnic. We bought a loaf of french bread, some pesto and Irish cheddar cheese and found a pretty spot by the harbor to sit. It was delicious. We walked around some more and then got back in the car. We made a bunch of stops at scenic pullouts and cut across the mountains to head back to Kilkenny. It was a shortcut but I think it may have taken a few months off of Bill’s life expectancy as there were some super narrow, curvy roads where you were praying there were no oncoming cars. 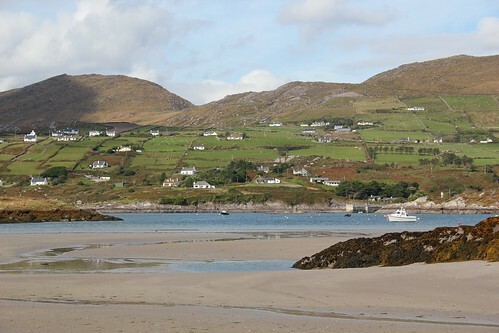 Wednesday was our day to drive the Ring of Kerry. Another day in the car. Ugh. It was tough for all of us and this is where we really needed another day. One where we went for a hike, found a park and limited our time in the vehicle. 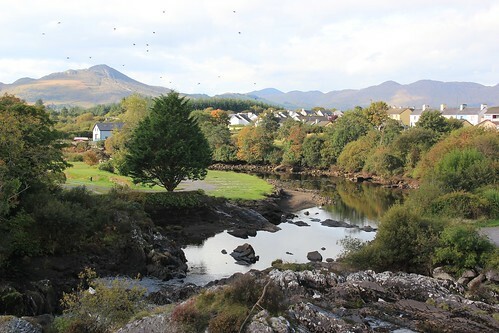 But it was our last day in Kilkenny and we couldn’t miss the Ring of Kerry. In hindsight, I think we could have. It was pretty, but not our most fun day. Thursday we departed for Cork. 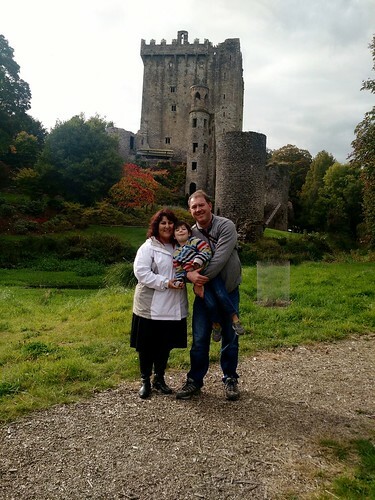 We had a 90 minute drive to Blarney Castle which is just outside of Cork. It was beautiful! 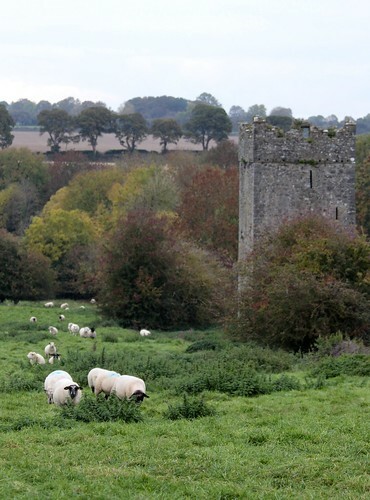 It’s probably one of the most visited castles in Ireland, but for good reason. Aside from the Blarney stone, the gardens and grounds are lovely. We walked and explored and were there for over 2 hours. By the time we checked into our hotel around 5:30, we were too tired to find a pub for dinner so we ate in the hotel. Then we explored a little. It was dusk so we didn’t go too far, but walked to a church that didn’t look to far away. It was closed by we enjoyed the opportunity to stretch our legs. The next morning we walked to the English Market to check it out and get our breakfast. There was a park across the street where we had a picnic, a “proper picnic” at that as we were told by a local who walked past us. We ended up walking back to the church from the previous night and this time it was open so we paid to go inside. It was beautiful. Joshua enjoyed the stained glass very much. 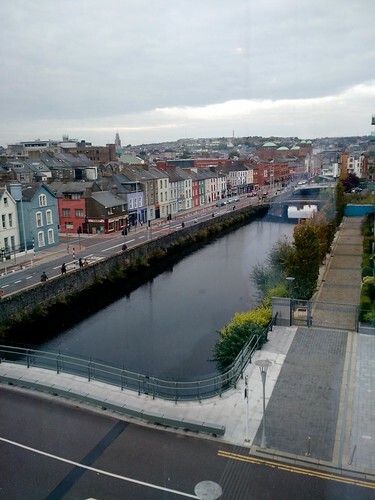 We saw very little of Cork, which was ok with us. We were anxious to get to our next B&B in Kilkenny. 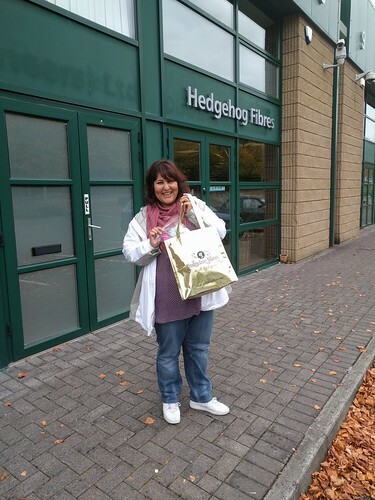 First we had to stop at the home of Hedgehog Fibers, a hand dyed yarn and fiber studio in Cork. They gave us a tour and we saw the behind the scenes stuff. This was a highlight for me, and of course I left with some new acquisitions. They were lovely people and if you’re ever in the neighborhood, I recommend you pop in for a visit. 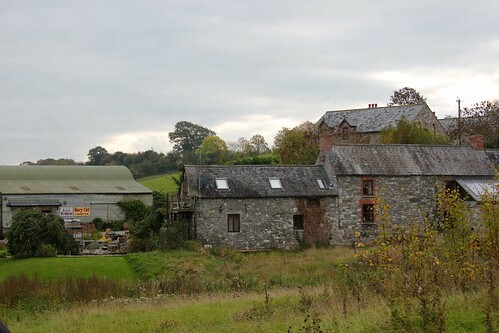 It was about 2 hours to Lawcus Farm Guest House, which was about 25 minutes outside of Kilkenny town. It was off the beaten path, and gorgeous. We arrived around 3 and settled into our room and then explored the priory which was a kilometer from the B&B. It was a pretty walk to the ruins and around some other local sights. Then we drove to Kilkenny for dinner. We didn’t explore the town except to find the pub that had been recommended for dinner. Then it was back to the B&B for the night. Saturday we had a wonderful breakfast. The kitchen was open to the dining room, and we were able to chat with the owner and 3 other guests while breakfast was made and eaten. It felt like we were having breakfast with family. The we were given a tour of the main house and the grounds, and Joshua got to help collect the eggs from the chickens. In the afternoon, we drove down to Hook Lighthouse, the oldest operating lighthouse in the world. It is 800 years old. We had a pleasant hour drive back to the B&B and we ate dinner at the pub in town. And alas, the next day was Sunday and we were up early for breakfast and to head to the airport. So that’s our trip in a nutshell. It might not seem like it, but it was very chill. 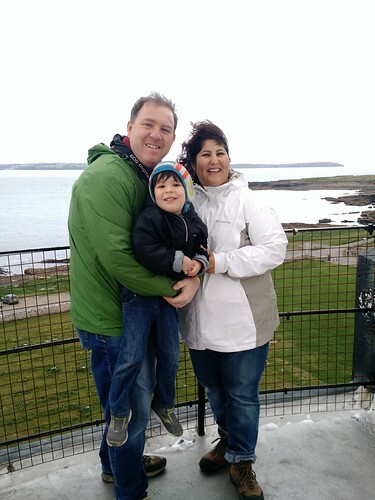 There were a few things we really wanted to do/see (Guinness Storehouse, Dingle Peninsula, Ring of Kerry, Blarney Castle, Hedgehog Fibers) but most of the trip we stopped for hot chocolate or lunch or photos when we felt like it, and went where the wind blew us. 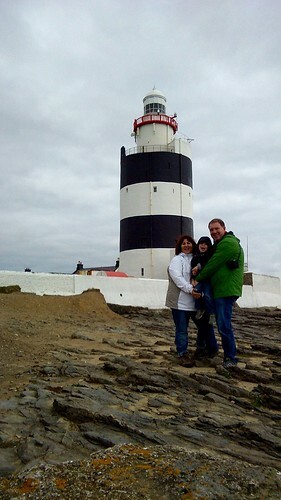 We had never heard of the lighthouse until it was recommended by the folks at Lawcus Farm Guesthouse and it ended up being a highlight of the trip. I’ve glossed over how friendly and nice the people were, and how beautiful a country it is, how delicious the food, how amazing the cheese… We’re already talking about going back. It was a really wonderful family vacation and we did make some wonderful memories together. 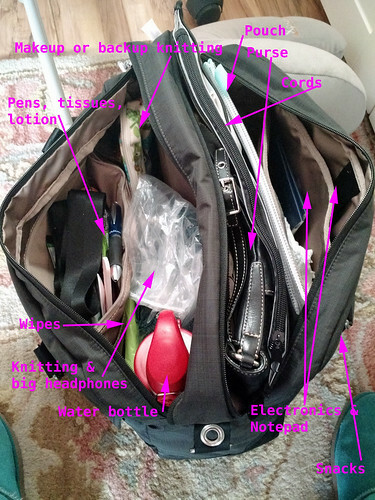 What’s In My Carryon Tote? I’m loving today’s Ten on Tuesday from Caroleknits.net. 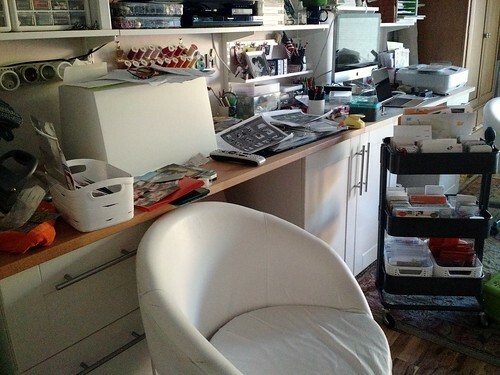 The topic is spot on for me since we just got home from vacation and half my luggage is still sitting in my craft room. Including my carryon bag. So I’ll just go grab it and tell you the ten things I always have with me. 1. Electronics: My kindle. Cannot travel without books and I love that I can have fifty to choose from in such a small device ; My tablet. We use our Genie to download tv shows to watch on the plane; My ipod. Just in case all my other devices run out of battery, I can still listen to music; My phone. I don’t usually use it so that I have battery left when I arrive, but in a pinch I could play games or music. And I like to have the cell phone camera handy. We’ve flown over Half Dome at Yosemite, and Crater Lake in Oregon and I’ve snapped pics. I don’t usually travel with a laptop anymore since I can do almost everything on my tablet, but I did bring it on this trip so we could download our photos and I could start to go through them on the plane. Which I didn’t do. Thankfully my laptop is tiny. 2. Lotion, tissues & wipes. My hands always get so dry on the plane, my nose always runs on a plane, and I like to have wipes just in case I need to wipe down the tray, or for my hands or face. Or for Joshua’s hands or face. 3. A shawl. Usually tucked in at the bottom, because I almost always get cold during a flight. 4. Reuseable water bottle. I don’t go anywhere without one. I fill it up once through security. 5. My travel wallet/purse. Not sure this needs much explanation. Unless it’s a quick weekend trip, I usually downsize my wallet and carry a smaller purse. 6. The knitting. I never go on a trip without knitting. Sometimes, there’s even a backup knitting project in my carryon. Knock on wood, I’ve never had a problem traveling with wood knitting needles, but I’m always mentally prepared for some security person to give me a hard time so I usually use my cheapest pair. 7. Snacks. A little chocolate, a little salty. And gummy bears! (my favorite travel snack). And a beverage. I’ve cut back on soda so I try and grab a lemonade or iced tea or juice. I have pockets up front for those, and I slide them in where I can. 8. Headphones. I even carry 2 pairs. I usually use ear buds but for long flights those can sometimes bother my ears so I have big, cushy over the ear blue tooth headphones. They aren’t compact but they are comfortable! 9. Cords and chargers. 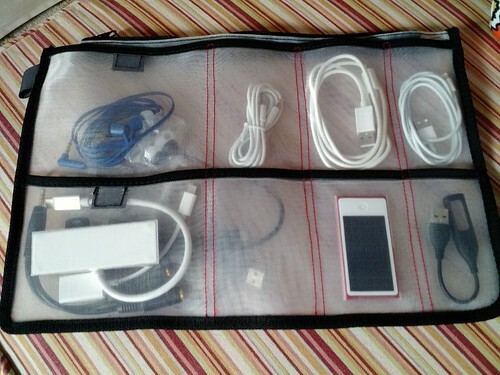 I bought this organizer from the Container Store and it hardly takes up any room in my bag. I like to have at least one charger with me in case we get delayed in the airport. It’s amazing how many different cords/adapters I need. This also makes it easy when I’m packing because I can quickly see what I have. 10. Pen and notepad. Just in case I need to jot down notes. I could do an electronic note, but I’m a pen and paper kinda gal. Plus, in a pinch it’s another way to amuse Joshua. I have one of those pens with 4 colors, and he gets a kick out of that. I also have a pouch that I can carry the notepads in, as well as extra papers I accumulate (mainly receipts, rental car agreement, etc.). 10 1/2. My makeup. This doesn’t count as a full item because I usually only have it in my seat-in-front-of-me-carryon on the way to my destination. On my way home, I usually am to tired to care about looking my best so I put it in the other carryon of my checked bag. It’s kinda crazy, but I did a lot of research on pinterest to try and figure out what kind of carryon organization would work best for me. We’re usually on a plane at least three times a year and at least 2 of those trips are 4+ hours so that’s how I justify all the research I did. As a result, I splurged on a new carryon tote. I used to always use a backpack, but I was always taking everything out to get the thing that I needed which always ended up on the bottom of my bag. With this bag, things are more horizontal and easier to get to. I lay it down under the seat in front of me for takeoff and landing, but once underway, I pull it out and tuck it up under my legs against the seat and then I have room to stretch out my legs and the bag is standing up with easy access to everything. I’ve used it for 2 trips and really do prefer it to the backpack. It has a panel so I can slide it on the handle of my wheeled luggage. (And you can get this back on sale at the Container Store during their annual travel sale.) I carry very little stuff for Joshua since he has his own backpack (or Bill takes it, since he doesn’t have to pack makeup, knitting, a purse, etc.). 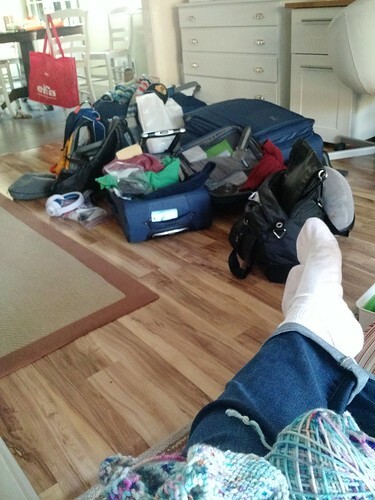 Plus, we always have a wheeled carryon which has Joshua’s “friends” and toys, the camera, extra snacks for Joshua, change of clothes (for Joshua, sometimes us). We’ve streamlined what we carryon but it’s a lot. Anyway, clearly I like this topic. Hope you do too! A lot of my time gets sucked up by flipping through my supplies. I’ve got a lot of great embellishments but how do I make it easy to find things? 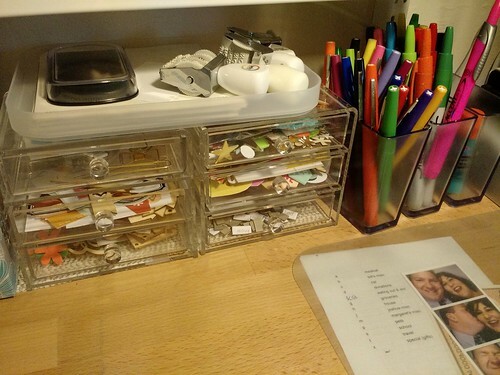 This morning, I emptied out some clear drawers I have on my work table and sorted my embellishments into the drawers. I don’t use the stuff in those drawers very often so it was a waste to have them so close at hand. I was able to relocate those items to other parts of my office. Next, I went through all my stamps and stickers and used this system to organize them. 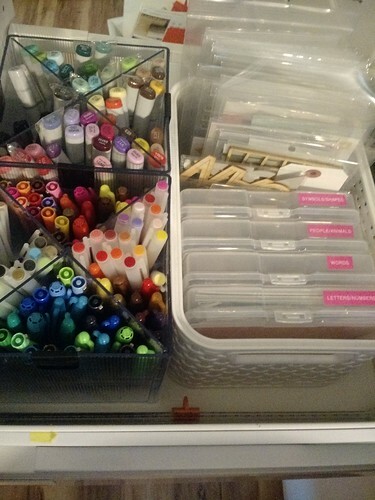 I then put them in the drawer next to my workspace so that I can flip through them easily. I need to order more sleeves as I ran out, but I like how quickly I can flip through everything. I also have some traditional stamps stored in 4×6 plastic photo boxes from the Container Store. 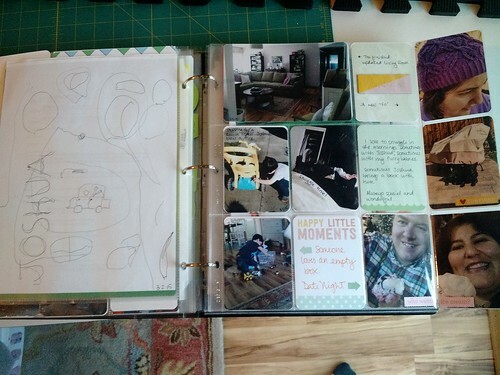 The part that still needs some work is all my project life cards. I belong to a monthly club which is where 80% of all these supplies have come from. It’s cool because I get things I’ve never seen before or would ever consider buying. I don’t know how to use a lot of them, but I’m learning. Anyway, I have a ton of different kinds of cards and I’ve spent a lot of time flipping through them. And then again. Some are journaling cards, some have sayings or pictures. I need to sort them by type of card. Currently, they are separated by collection but that doesn’t really mean anything to me. 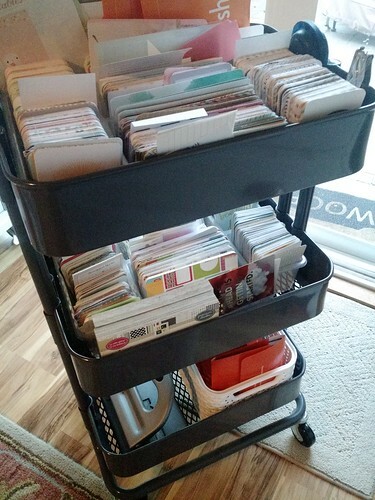 I do like having them on the cart because I can tuck it out of the way when I’m not using it. So here’s a few of the pages that I’ve completed. They are mainly from January. I use all different kinds of pages. I’m happy with how they are turning out. 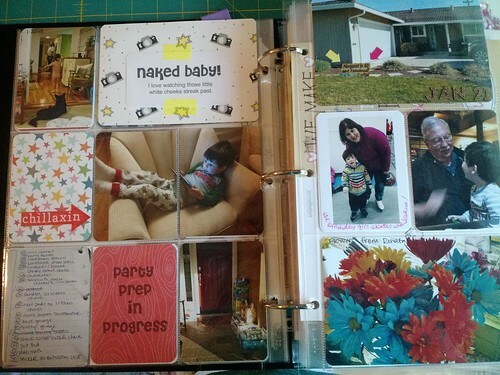 It gives it a scrapbooky feel without being quite as time consuming as scrapbooking. 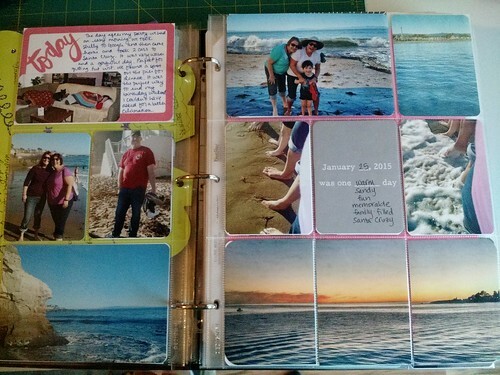 I especialy like that it has a personalized touch with the journaling. 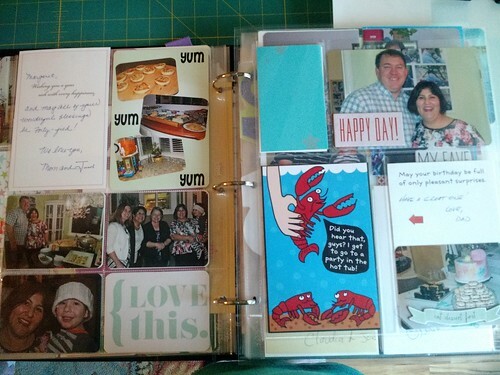 If you have any photo/scrapbooking/project lifing tips, I’d love to hear them. My next post on this topic will be about my process which I’m still refining. But I think that will also help the project go more quickly.